Design Group Press, 9780979127779, 196pp. 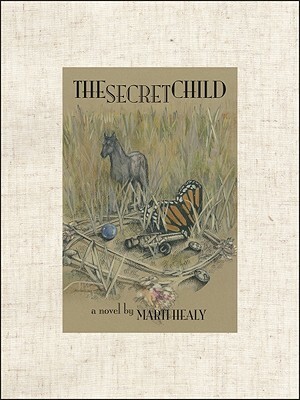 A timeless tale, written in a very lyrical style, The Secret Child appeals to a wide range of ages; one of those "favorite" books cherished by more than one generation. Set in 1855, the central character is a thirteen-year-old girl, Marika an Irish Traveller running between her thribli, or clan, in Boston and her arranged marriage with a gypsy leader named Jacko in the Midlands of South Carolina. Cautiously, she allows herself to form relationships with a free black man, Joseph, and a Quaker woman, Maggie. The book interweaves highly unexpected subjects and issues, such as slavery, human rights, and other harsh realities of 19th century South Carolina, along with a mystical, light-and-shadows world of "Fairies" who inhabit a nearby heavily forested Carolina Bay. The Fairies of the Carolina Bay have an ancient Celtic history; no tiny wings and fairy dust, these are true spirits of the woods. In the end, it is up to her to decide between her realities.